Dr. Mahmoud Al Yamany is an American and Canadian Board Qualified Neurosurgeon, and holds a Master’s degree in Health Care Administration from Washington University in St. Louis, Missouri, US. 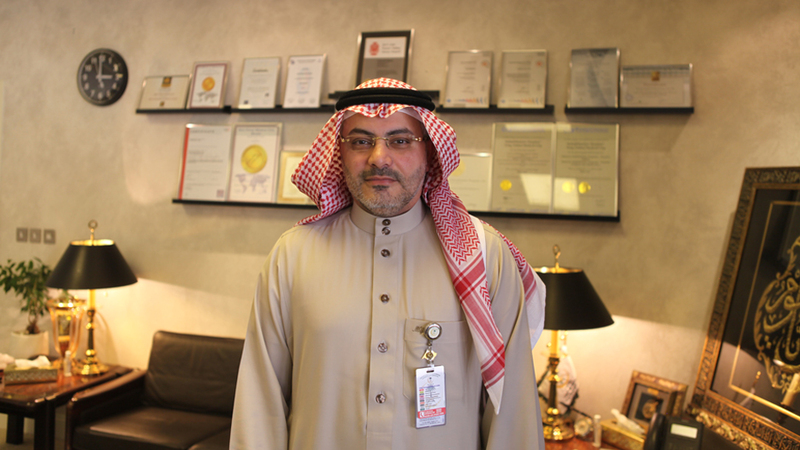 He has been with King Fahad Medical City since 2004, serving as Chairman of the Department of Neuroscience and as Associate Executive Director of Medical Services between 2005 and 2008. Despite the global environment of lower oil prices, the Kingdom has maintained a high level of spending in the 2016 fiscal budget. Education and healthcare remain the focus of government spending, accounting for 35 percent of total spending. However, Health and Social Development dropped by a sizable 34 percent year-on-year to SR105 billion. What do you identify as the main challenges facing the healthcare sector in Saudi Arabia? It was always thus, as the challenges with healthcare are with the workforce and finding the right, qualified talent. That has always been the main challenge. The next challenge is providing service at an efficient level. One of the things that the Saudi Arabian healthcare sector has suffered from for years is inefficiency. The main problem with healthcare is that there is no congruent, overarching healthcare development strategy at a national level. The spending is rather erratic. We have managed to increase and improve the quality of the services provided but we have not been able to manage the efficiency to a sufficient degree. The increase in the expenditures in healthcare has been dramatically higher over the past decade, from about 3% of GDP to about 7% of GDP. That is significant; if we continue on that path soon enough we will be getting up-to the 15% or even 20% level and that would be a huge burden for the government. That is significant; if we continue on that path soon enough we will be getting up-to the 15% or even 20% level and that would be a huge burden for the government. At the same time, there are significant investment opportunities in your sector. Some analysts say that there are only 2.2 beds per thousand people against the global average of 2.7 beds and 4 beds for Western Europe. What do you believe are the main investment opportunities in the sector? The problem with looking at the number of beds per-capita of population or per-thousand is that it has always been contentious. If you look at countries that have four beds per thousand, they are now trying to drop that down to about three. If you look at those with two beds, they are trying to come up to 2.5 beds but not to exceed that. There is always that zone between 2.5 and 3 that should be your target as a country. Saudi Arabia is one of the youngest countries in the world; with some 75 percent of the population under 30 and 60 percent under 21; more than one in three Saudis is under 14. Therefore in a demographic like Saudi Arabia has 2.5 beds are enough to cover the needs of the predominately-young population. There is however huge potential for the private sector to invest in this area. Today the healthcare in Saudi Arabia is mainly focused in the big cities and on tertiary care. Whilst a great deal of effort is being made to develop secondary care as there is currently a huge gap between tertiary care and secondary care in the Kingdom. Saudi Arabia is at the regional leader in tertiary healthcare. There are institutions of excellence such as King Fahad Medical City, the largest and most advanced medical complex in the Middle East with a total capacity of 1200 beds, King Faisal Specialist Hospital, The National Guard and others. The outcomes of tertiary services in Saudi Arabia are comparable to the US & Western Europe. So whilst it is the case that Saudi Arabia lags behind in primary and secondary care, the major investment opportunities are in the secondary care. Secondary care is ripe therefore for business investment, with potential for high-returns on investment through increases in numbers. Without sacrificing the overall quality. Luckily, for the private sector, this segment is most needed in Saudi Arabia. So it’s a win-win situation. King Fahad Medical City is the largest and most advanced medical complex in the Middle East with a total capacity of 1200 beds. About 20% of healthcare is provided by the private sector and remaining 80% by the public sector. Saudi Arabia is on the path of liberalising the sector and opening it up for greater private sector investment. Within five years, we should see significant changes. How do you see the future of private healthcare in Saudi Arabia? The mandate from the Supreme Council of Economics & Development is to increase the participation of the private sector into overall healthcare provision. 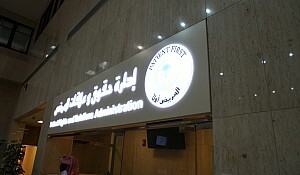 In fact, a target was set by the Ministry of Health to increase the participation from 20% to over 50%. That comes along with regulation on the payment, because today the payment from the government side to the private sector is per-service or per-encounter and that is not fair from the government’s perspective. The country needs therefore to develop a payment model that will allow the private sector to take patients but at the same time allow the government to pass on some of that risk onto the private sector or to private sector investors. Today private sector investment in healthcare is riskless. For example, currently and as it stands, a doctor can open up a practice, start taking patients and the government, private insurance and or individuals will pay for the service, but there is no risk. If the government succeeds in establishing payment regulations and payment models, be it a national insurance or a consortia of insurances between national and private insurers, then at least there will be a DRG based price list. So that patients can be treated as a package either with a DRG based model or a bundle payment, if you are talking about a certain disease category. That again is a win-win situation. It will allow the private sector to capitalise and expand very quickly and it also saves the government some funds, because the risk is then shared between the two parties. What do you think about the healthcare sector in Saudi Arabia in the regional context? Does it have the best healthcare system in the Middle East? Saudi tertiary healthcare is at a very good level. We work on treating cancer but we don’t work on preventing cancer in the first place. There is a huge gap when we talk about primary and secondary care in Saudi Arabia compared to the Western world. 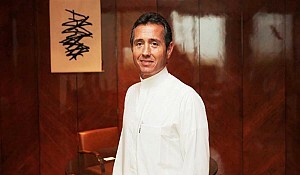 In the region, you cannot compare large economies such as Saudi Arabia to smaller states such as the UAE. It is very easy to establish an excellent system in a small state; you can use the UAE as an example where every Emirate has its own independent system. Abu Dhabi now seems to lead the region but it is easier to service 700,000 people than 30 million. I think that as tertiary care providers, Saudi Arabia offers the best healthcare in the Middle East. The kingdom benchmarks itself against the United States & Western Europe. Again, we have a huge gap with secondary care; a patient with cancer can easily find where to go for treatment whilst a patient with an appendix problem will sadly fall-through-the-cracks. 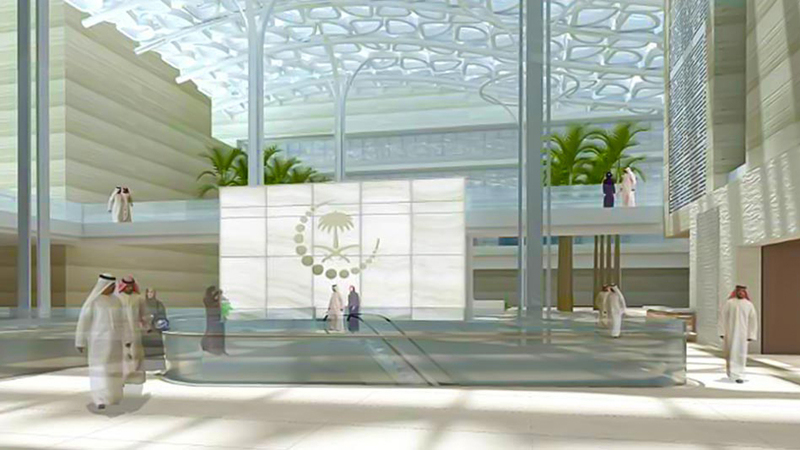 This colossal medical facility built at a cost of 2.3 billion Saudi Riyals is comprised of four hospitals and four medical centers expected to treat more than 19,171 in-patients annually and over 238,404 outpatients. 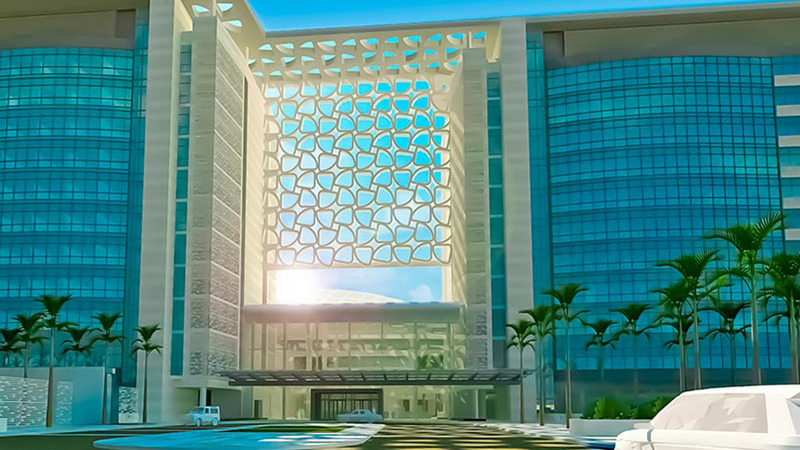 With four hospitals King Fahad Medical City emerged as the largest and most advanced medical complex in the Middle East with a total capacity of 1200 beds. 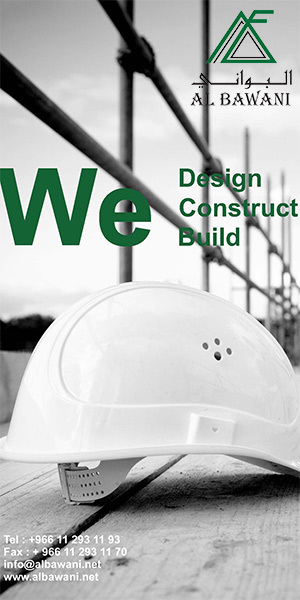 Building costs were USD 633 million according to Wikipedia. Can you talk about your milestones and achievements in your short history? 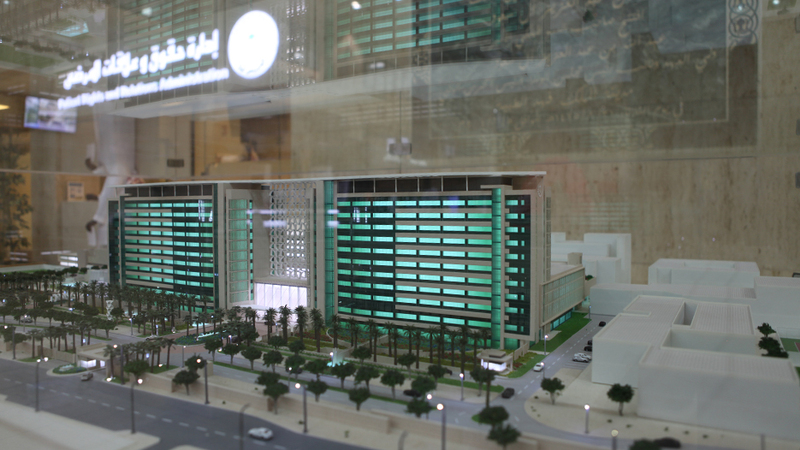 King Fahad Medical City is the largest medical city and the largest tertiary care provider in Saudi Arabia. 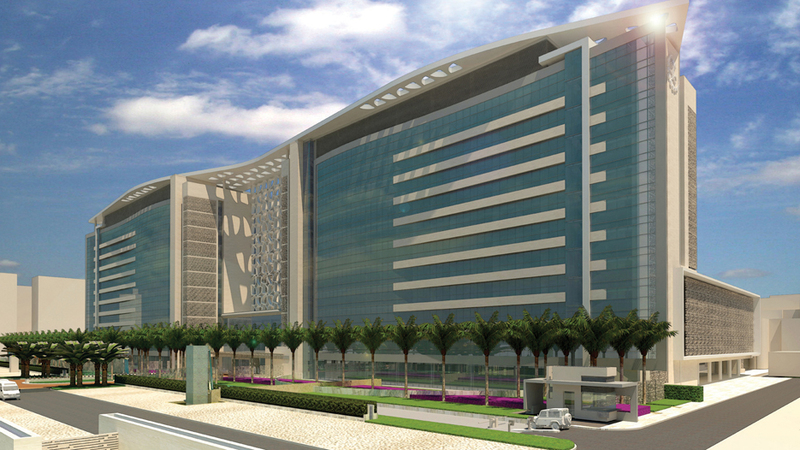 The medical city was established in 2004 and by 2015; we claimed the title of the largest in the market. The hospital has 1,200 beds today and the plan is to increase the capacity to 1,800 beds by the end of 2017. The focus now is more on the major sub-specialities such as neuroscience, cardiac, cancer and diabetes. Although not on the day in day out treatment of diabetes but rather the research side, i.e. finding new modalities of treating diabetes and creating a diabetes database. The strategy is to focus on the tertiary care. Today, the hospital boasts the largest neuroscience centre in the country, which is the National Neuroscience Institute with over 150 beds that is again set to expand to 350 beds by 2017. Similar developments are happening in oncology and cardiac treatment at the King Abdulaziz Heart Centre and the Comprehensive Cancer Centre. These numbers have all been extrapolated from disease demographics and the country population demographics, looking at the overall disease burden on the population. This was designed to serve the middle zones of Riyadh and Qassim. The city has been getting referrals from across the country; there are many medical cities being built and these medical cities will cater to similar mandates but will be servicing their own zones. 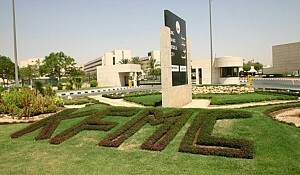 Between now and when these medical cities are established, which will probably be a decade from now, King Fahad Medical City (KFMC) will continue to cater for tertiary care to the entire country and will expand on tertiary care. Is this how you fit into the overall strategy, by being the leading institution for very complex treatment and innovation? In addition to the mandate set by the Ministry of Health, the Ministry is looking for successful models to allow them to expand and get out of their specific role and that has always been tertiary care provision i.e. the complex diseases. 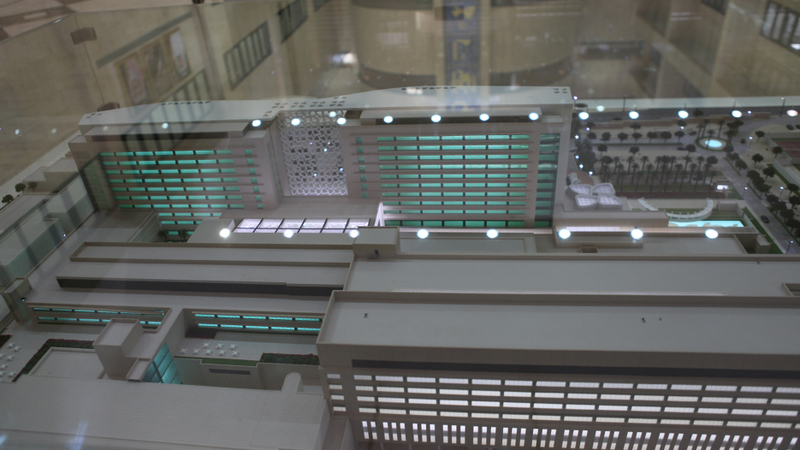 The Main Hospital is a 181-bed hospital with specialty clinics for diagnosing and treating diseases. Rehabilitation Hospital is a 92-bed hospital offering multiple levels of care, including inpatient, day rehabilitation, and outpatients' services, a 224-bed Children Specialized Hospital and a 120-bed Women Specialized Hospital. In addition to the hospitals, King Fahad Medical City has 17 fully-equipped main operation rooms and supports the largest number of Intensive Care Beds in the region. Now the Ministry of Health is looking into the population based services. 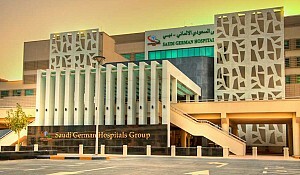 They are proposing for KFMC to start taking on primary and secondary roles as well and to expand outside of its premises, to acquire and merge with more and more hospitals within the Riyadh area and take into its portfolio a number of primary care centres, so that we can provide an integrated care across the chain. That will also allow KFMC to release more capacity in tertiary care because some of the capacity in tertiary care has been locked-up by secondary care and given the fact that we have an open emergency department. Can you give us more information about the Proton Therapy Centre at King Fahad Medical City? The Proton Therapy Centre at King Fahad Medical City is the first one in the Middle East but the most interesting part is not the technology of the proton beam per se but lies in the way it was done. This is the first successful PPP model at the level of the Ministry of Health. It is a Public Private Partnership between KFMC and a private investor and it is going to be functional towards the end of the year, in the last quarter of 2016. It will then start taking patients. It is a model where the Ministry of Health did not finance the project. A major private investor took part in the project and the return on investment is going to be quite good for the investor as well as for the Ministry of Health and KFMC. It is a successful example of a huge budget for PPP. 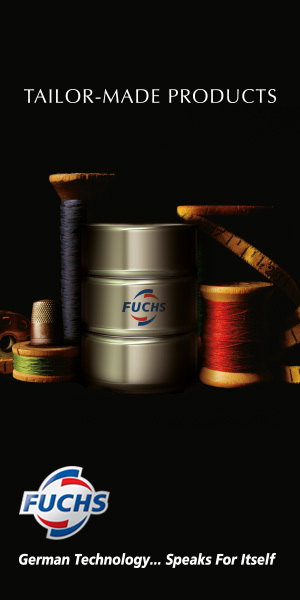 The total value of the investment is more than 200 million euros. Do you have many other initiatives in the pipeline? How do you integrate or link education and medical science in this institution as major universities are also linked to the hospitals? Since inception in 2004 until 2009, KFMC would position itself as healthcare providers and be the best in provision of tertiary care. In between 2009 and 2014, the hospital would establish itself as a leader in training. The strategy is to focus on the training of healthcare providers at all levels from physicians, nurses, technologists to health administrators and economists. Then for the last 5 years starting in 2015, the hospital would be focusing on research. The city has already established an executive level administration research centre and it is working on basic science and clinical science research. It will take time for KFMC to start publishing major research; we have a lot of research being published every year but it is all on the clinical side. It will take a lot of effort to start building up the basic science side. KFMC is staffed with visionary management and highly qualified medical and administrative professionals who share a common goal in making King Fahad Medical City a leading tertiary care referral center throughout the region. At all levels of treatment, specialists from many disciplines are brought together to help patients. The city covers every medical specialty for the training of practitioners. In addition, there are masters programs as joint ventures with international universities such as a masters in health administration, healthcare quality, research, health education etc. and we offer these to KFMC students or employees in a blended learning model where they do their lectures and classes afterhours with video conferencing and they can do most of their modules at KFMC. They end up doing most of their capstones or projects at work, within their work fields and it has paid dividends. We have been doing that since 2006. A lot of the graduates of healthcare administration are leaders not only at KFMC but also in other healthcare organisations in Saudi Arabia. Regarding key performance indicators, what would you like to achieve within the next 5 years? In terms of key performance indicators of healthcare, we are building that up today for the Ministry of Health so that the Ministry of Health can have a dashboard to monitor hospital performance. If you are talking about our future projections, the number one goal is to become the leading institute for medical research. All efforts are put to research. The hospital is investing into building a large facility of labs for basic science research and securing funds now from local as well as international funding agencies to fund research. There are numerous people on scholarships that are doing their training now in research doing PhDs and masters degrees in international universities. Putting all of that together KFMC will establish itself as a centre for medical research. Whilst the hospital is also building “Research Park” so that clinicians can be the researchers and intermingle with the basic science researchers. Another program is to encourage the medical teams to develop their research capacity. The physicians, nurses and technicians after doing their basic training in their fields of speciality, end-up spending time building up their research capabilities and all of that in conjunction will mean a very promising future for KFMC as the leader in research. The culture at KFMC blends dedicated people, exemplary care and a commitment to the overall quality of life. We achieve that through programs and services and through its advocacy and community outreach efforts. Extending knowledge and resources into the community is KFMC's top priority. The strategy for KFMC from 2016 to 2020 is to focus on research. The second focus is on talent development; we are looking at employees across the board at KFMC for talent and we are managing that talent in a way so as to increase retention and improve employees on succession planning and talent development. First, we call everybody healthcare providers including the janitors, engineers, physicians, nurses, administrators, economists and analysts. We have plans to develop all of them in their fields, related to healthcare. The third element in our strategy is to work on the optimisation of utilisation so we are looking at utilisation of our workforce, as well as utilisation of equipment and in looking at the best way to get more with the same, rather than more of the same. We are not asking for increment in budget but we are aiming at productivity improvement with the same budget. The fourth and last element of our strategy is to give the patient a better experience. So we are training staff and we are changing the facility in ways to be more patient friendly and more customer-friendly. We are getting the patients and their families involved in the decision making by establishing a Patient and Family Council that looks at KFMC’s processes and suggests what needs to be changed in these processes. We are also changing healthcare provision to suit the patients’ needs not only from a providers’ perspective but also from a customers’ perspective so that patients have their voice heard on how they want the service to be provided. This is a paradigm shift when it comes to healthcare provision in Saudi Arabia and in the whole region and we are leading that. We have been establishing that for the last 2 years and we are working on spreading that culture outside of the walls of KFMC. We also need a lot of marketing to improve our image both internally as well as externally so as we can attract more and more patients and that will be based on the foundation of innovation. King Fahad Medical City provides every citizen of the Kingdom of Saudi Arabia with the best health care service. 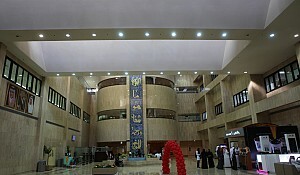 In addition, King Fahad Medical City is a bridge of medical knowledge and research between the East and West. 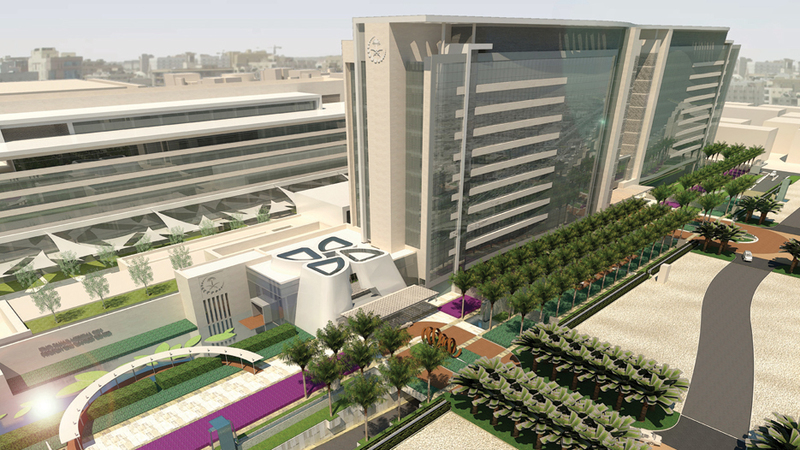 We have established an innovation centre where we allow healthcare providers to innovate. When you talk about innovation it is not just about innovating in technology but also innovation of processes and the way we deal with patients, the best utilisation etc. Thus innovation becomes the platform where all of the different elements of the strategy can be improved upon and where we can leverage on all levels, be it technology, workforce, research or even media. Based on this well-articulated strategy that we have established and put into place, we expect to be the leader of healthcare in the whole region. Not just in the Kingdom. From the inaugural address the KFMC was expected to treat more than 50,000 in-house patients and more than 2 million outpatients annually. Absolutely and this was for the existing number of beds, so for the 1,200 beds and the 260 clinics. When the number of beds goes up, the numbers will increase but not only that, we are counting on 50,000 patients based on 1,200 beds today with an average of 80% occupancy so we are talking about occupancy of 1,000 beds. When the number of beds goes up, the numbers will increase but not only that, we are counting on 50,000 patients based on 1,200 beds today with an average of 80% occupancy so we are talking about occupancy of 1,000 beds. We are talking about an average length of stay of a week, that comes to 52,000 patients a year but we are trying to shrink that to about 5 days a week and then 4 days a week and we will continue that race against ourselves to make sure that we shorten the patients’ stay in the hospital for two reasons, one is to give the patient a better experience outside of the hospital setup and secondly to optimise the utilisation of beds.